Fancy A Quickie Up Darwen Tower? 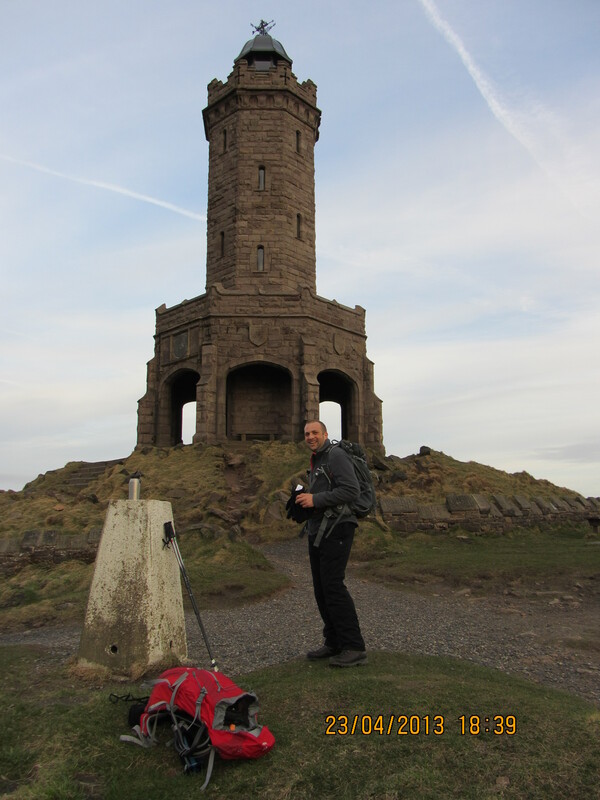 Jeff and I got a cheeky little evening hike in today up to Darwen Tower. The circular route was about 4 miles and took around 1 hour 15 mins although the climb stats from my phone say otherwise for some reason (I think I was in “bike” mode rather than “hike”). There was a good mix of elevation changes so we got a bit of a work out. From the tower we enjoyed pleasing vistas over Lancashire to the North West coast and across to Pendle Hill in the North East. I’ve posted a few photos in an album on the Kilimattajro facebook page. We’re planning to get more of these weekday sessions in as the nights get longer and our June Kili climb approaches – 54 days to go at the time of writing!